Just when you thought you missed the big savings at Macy’s after the February One Day Sale ended, Macy’s turns up the heat with their Valentine’s Day Sale! 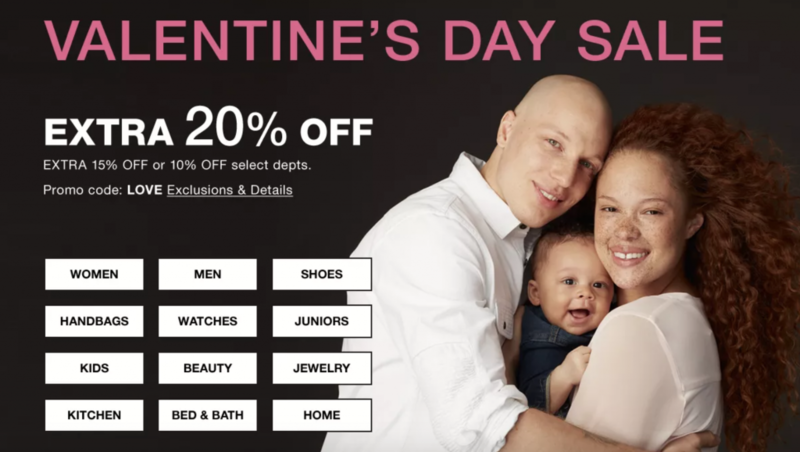 Everyone can save big during the Valentine’s Day Sale where you can get an extra 20% off your purchase (in most departments) with the code LOVE. Speaking of saving big all across Macys.com, one of my FAVORITE deals pairs a classic duo for this holiday special: Martha Stewart and Cast Iron. 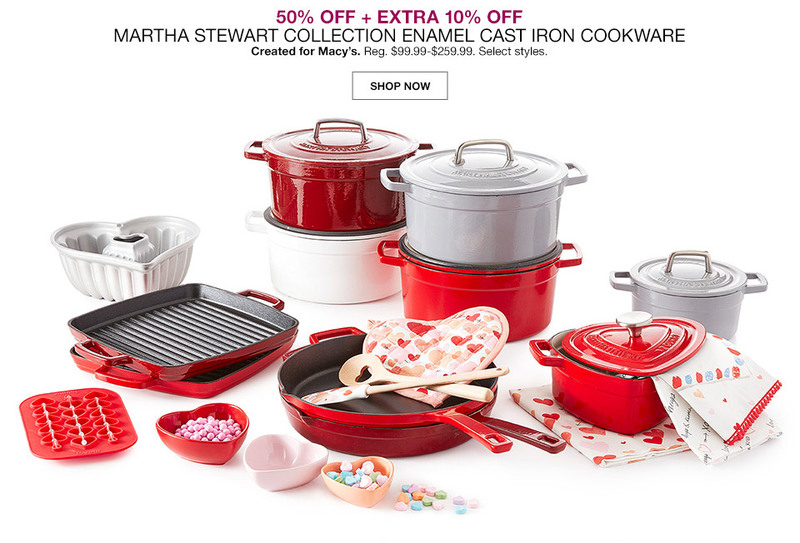 Full-priced cast iron can be out of range for many of our budgets, but during the Valentine’s Day Sale, Macy’s is going beyond just the 20% discount on this collection. The stunning red and white Martha Stewart Collection Enamel Cast Iron Cookware is 50% off, plus you can take an extra 10% off your purchase. For example, you can bring home this heart shaped casserole cast iron for $35.99, originally $99.99…that’s a 65% savings! Of course, that’s just one of the HUNDREDS Of deals you’ll find during the Valentine’s Day Sale. While you’ll definitely want to take some time searching for the perfect gift for those you love, I wouldn’t be doing you justice as your personal budget guru if I didn’t advise you to take some time to look for a deal or two for yourself, especially home and kitchen items. Below you’ll find all the details you need to start saving at Macys.com right away.